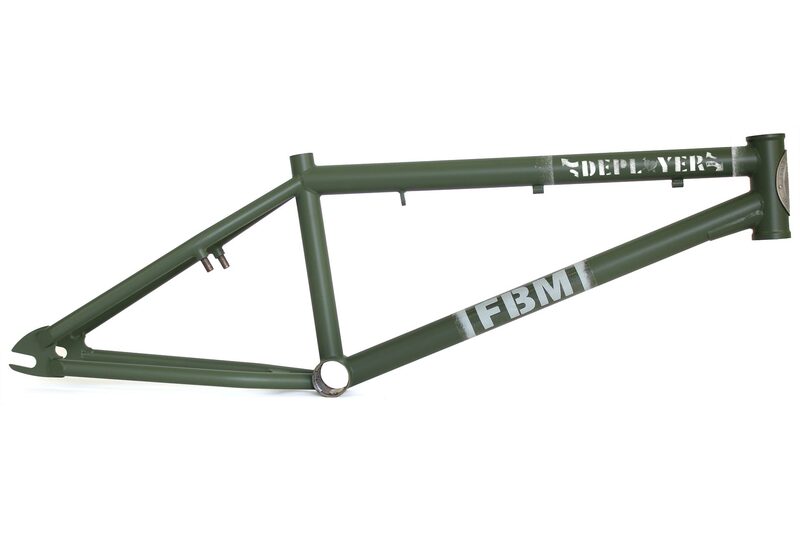 Paying homage to the legends that helped build the legacy of FBM, we are stoked to offer this limited edition reissue of a Classic FBM Frame -- the Deployer. The 'reissue' Deployer, handcrafted in Ithaca, NY at the FBM Machine Shop, builds upon its classic design and geometry and comes with modern tubing upgrades, 2.4 tire clearance, 33t sprocket clearance, and classic Deployer inspired dropouts and bridges. 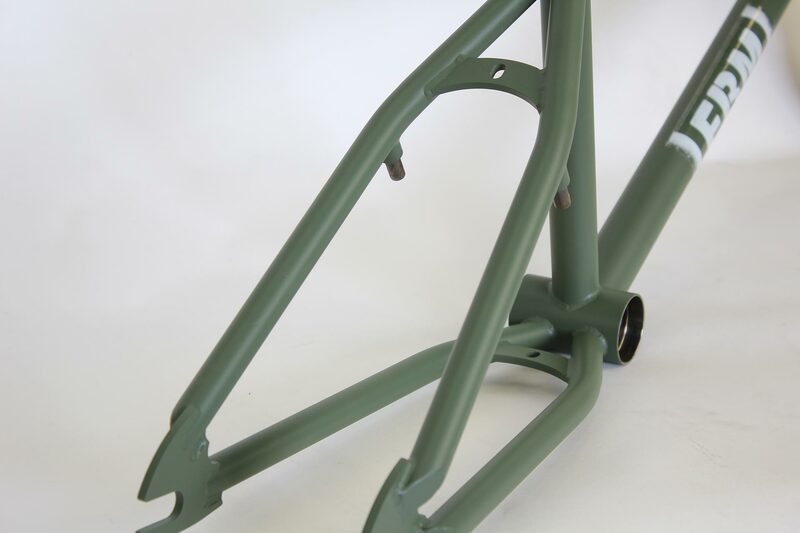 It will be available in flat army green only and come with original DG inspired sticker artwork and an FBM headtube badge...totally Dialed. In the spirit of DIY, we collaborated with Derrick Girard to offer a limited edition, handcrafted Quadsaw sprocket; machined in Maine by the Maniac himself. 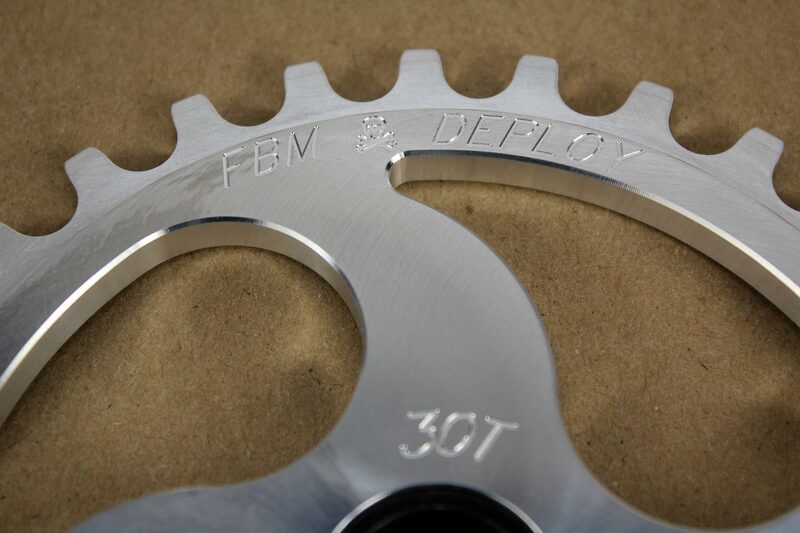 The limited edition FBM x Deploy version will only be available direct from FBM with a Deployer frame. 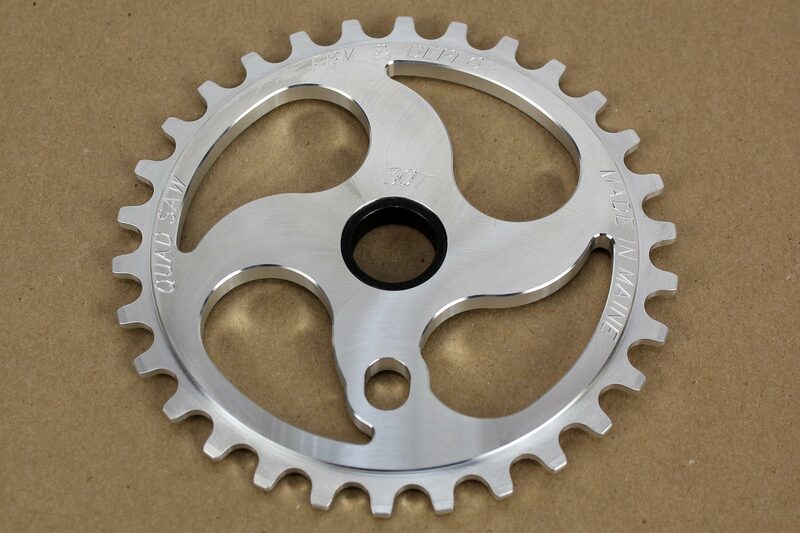 The sprocket will be cnc machined from 7075t6 aluminum; the options are: 28, 30, or 33 teeth, anodized black or polished, and either a 19mm or 22mm heat treated 4140 adapter. Seat Stays 3/4 O. D. x 0.035"